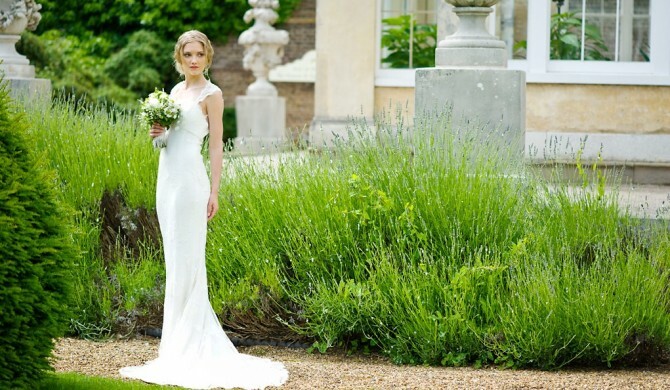 It’s official: January is the best month to buy a wedding dress and where better than at my studio in Kew! 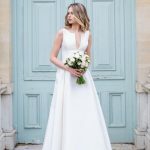 You’ll not only find the dress of your dreams at an amazing price, but also have a wonderful experience choosing with expert advice on hand to make the whole process enjoyable and memorable. Doors open at 10.00 am and no appointment is needed! Prices between £750 and £1750, sizes 8, 10 and 12. The sale is at my studio at 6 Mortlake Road, Kew, Richmond, TW9 3JA. There is limited parking in the drive and unrestricted parking in neighbouring streets. Nearest tube is Kew Gardens; nearest main line station is Kew Bridge. Please note: there is a strict no returns or exchange policy. Perfect day – coffee at Sift, my new cafe, which has opened opposite my studio, come to my sale which opens at 11.00 am and try on lots of dreamy dresses at half the bespoke price, buy dreamy dress, visit the new Temperate House in Kew Gardens in the afternoon, not forgetting to collect dreamy dress on the way home. Saturday June 30th is the date for this perfect day, don’t miss it! 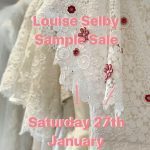 Hot off the dress; sample sale Saturday January 27th! 6 Mortlake Road, Kew, Richmond, Surrey, TW9 3JA. The autumn is upon us and our thoughts turn to evenings by the fire and the return of some classic favourites, such as ‘Strictly Come Dancing’. So if you’re planning to shimmer and shimmy down the aisle, why not waltz along to my sample sale on Saturday September 30th at 10.00 am. 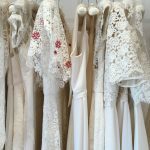 Choose from a wonderful selection of my signature bohemian Chantilly lace dresses and grecian style crepe gowns with draping or classic zibeline columns. 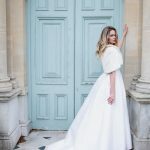 I’ll be on hand to offer expert advice on how to pull together the whole all-singing, all-dancing look, with stunning accessories to choose from including frothy veils, lace boleros and satin jackets trimmed with fur. Ready to be swept off your feet? I look forward to seeing you on the day! There is limited parking in the drive but unrestricted parking in the side streets. Nearest stations are Kew Gardens tube or Kew Bridge main line. Autumn Sample Sale Date announced! 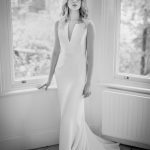 Louise’s eagerly awaited sample sale date for autumn 2017 has been announced! The sale will be held on Saturday 30 September at her studio at 6 Mortlake Road, Kew, Richmond, Surrey, TW9 3JA. 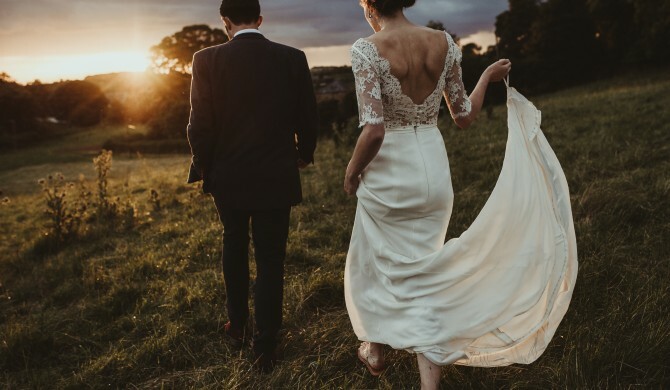 So, if you got engaged during the summer months and have started to look for “the” dress, put it in your diaries, or better still, book one of the half hour “slots” starting at 10.00 am and finishing at 3.30 pm. Email louise@louiseselby.com to make a reservation. There is limited parking in the drive and unrestricted parking in the streets off the other side of the Mortlake Road. Nearest tube is Kew Gardens and the nearest main line station is Kew Bridge. There is a strict no returns or exchange policy. 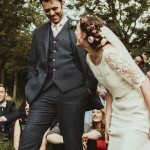 Rock my Wedding features Charley in Foxglove gown! 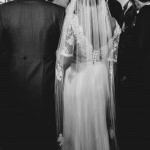 Charley the Bride: I haven’t always dreamt of getting married so I didn’t really know where to start with dresses. 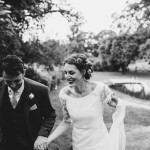 I imagined going to dress fittings being like in the films with lots of squealing girls and champagne, but Louise Selby was a calm, down-to-earth and very welcome opposite. I tried on around 6 of her dresses and felt like a celebrity with the triple full-length mirrors and someone tying me in! 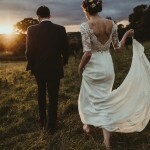 Her dresses are all so beautiful, but the one we chose was a winner – particularly with that back. I wanted to have bare feet but was advised against it so wore some cheap and cheerful sandals instead. The earrings were something old, blue and borrowed from my Mum. Fifth January sample sale on the 28th! The sale is at the studio at 6 Mortlake Road, Kew, Richmond, TW9 3JA. There is limited parking in the drive and unrestricted parking in the streets off the other side of the Mortlake Road. Nearest tube is Kew Gardens and the nearest main line station is Kew Bridge. Remember, remember the fifth of November, sparkling sample sale! If you are looking for “the one”, come to my sample sale on Saturday November 5th, 10.00 am to 3.00 pm, at 6 Mortlake Road, Kew, Richmond Surrey, TW9 3JA. 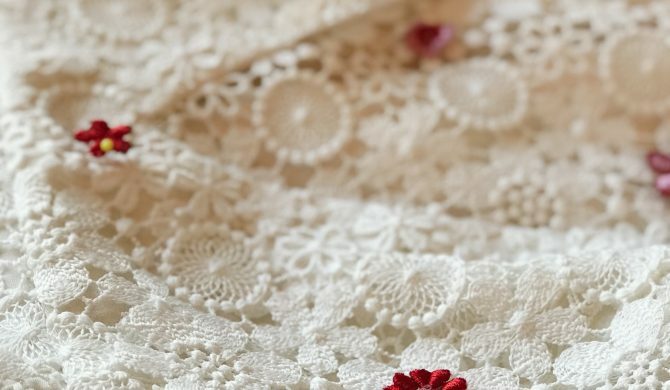 Choose from a wonderful selection of my signature bohemian chantilly lace dresses, grecian style crepe gowns with draping or classic zibeline columns. 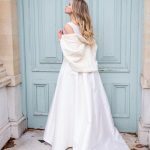 Expert advice on how to put together “the whole look” with stunning accessories; frothy tulle veils, lace boleros, satin jackets trimmed with fur. All the gowns in the sample sale are new, in perfect condition and can be altered to fit you. Note there is a strict no returns or exchange policy. Prices from £750 to £1750. Sample sizes 8-12. The bridal gowns are all from my 2016 collection, reduced down to between £750 and £1750. 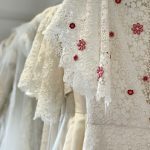 Choose from a wonderful selection of striking silk zibeline columns, exquisite lace gowns and stunning duchess satin wedding dresses, plus many more. I look forward to seeing you on the day in my studio. 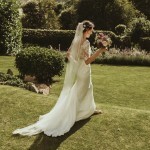 With a Louise Selby dress, the course of true love always runs smooth…. 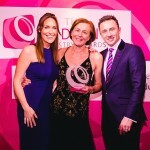 Louise Selby Wins National Wedding Dressmaker/Designer of The Year! Leicester Square, London at 7.30pm on Thursday 14 January. The red carpet is out…. a growing buzz of excitement in the air….people are dressed in their A-lister finery and wrapped up against the bitter night air….their VIP tickets are at the ready….which potential award winner is due to arrive? 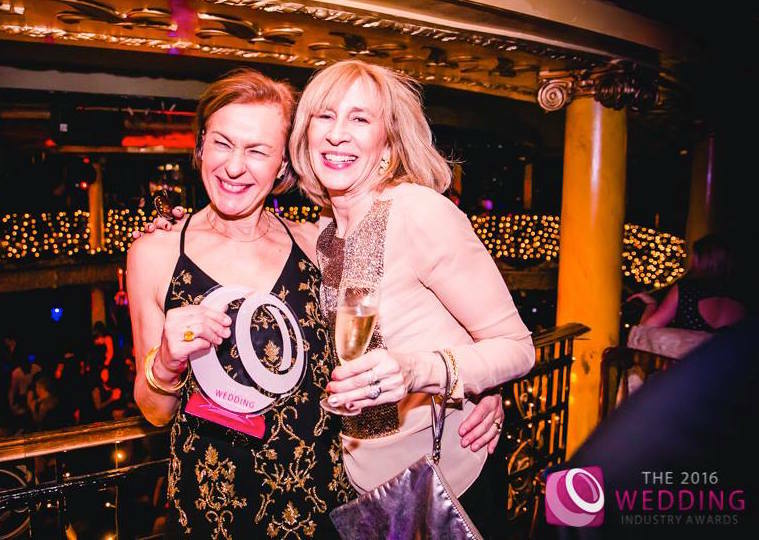 No, I’m not talking about Leonardo DiCaprio at the UK premiere of The Revenant….I’m talking about The 2016 Wedding Industry Awards held at the glittering and glamorous Café de Paris! 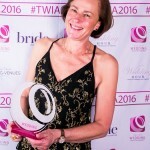 Having won Regional Finalist Wedding Dressmaker/Designer of The Year – London and the South-East – back in November, I‘d made it through to the wedding industry award of all awards: the Finals. And what a night it was. 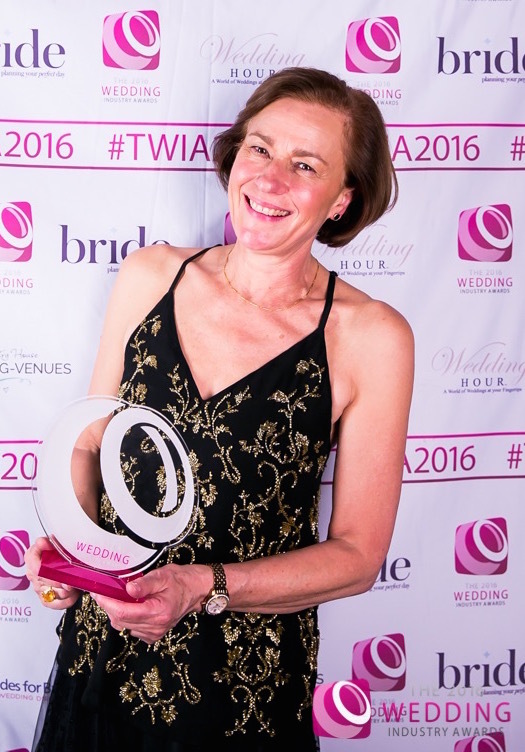 I couldn’t have achieved this without the wonderful support and testimonials received from all my lovely brides. A massive, ginormous thank you to everyone who voted for me, making my year! A trip to Harvey Nichols had nailed my outfit (the dress code on the invite stated ‘Awards Chic’: a gorgeously twinkling black and gold top by xxxxx over a swishy black net skirt by xxxxx. 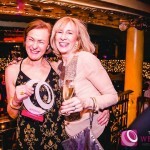 Once again, I’d invited my lovely marketing consultant, Caroline Gibson (an award-winning copywriter herself!) as my guest. The build up began with getting hair done then a visit to Space NK in Richmond for make up (if only the lovely girls at ID lived close by!). Thank goodness for Uber – however, not so ideal when you find yourself caught in a 20 minute traffic jam in Knightsbridge (maybe because of the Lumiere London festival starting?) but thankfully our Oyster cards were at the ready so we jumped ship and made the last leg of the journey by tube. Leicester Square ‘s Café de Paris is a stunning venue that dates back to 1924. The rope barrier was lifted for us by the doormen on guard and in we swept. Once again, the lovely Beetle Juice guys were on hand with their delicious cocktails as we arrived. The venue was already filled with chatter and laughter, and we luckily spotted two available chairs upstairs with perfect views of the stage. 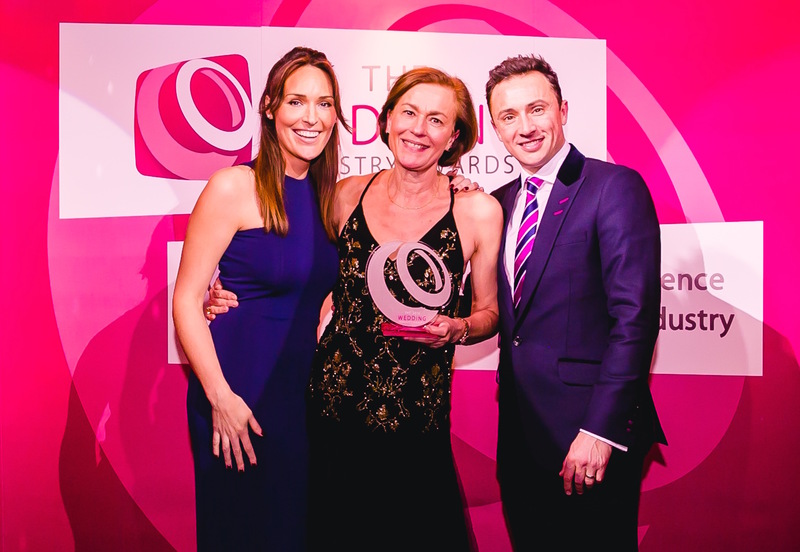 The evening kicked off with some breathtaking acrobatics by and then it was time for founder Damien Bailey to announce the 26 category winners, aided by Sky News presenter, Isabel Webster. Thousands had entered, hundreds of hours had been spent in judging, and now was the moment for the big reveal. 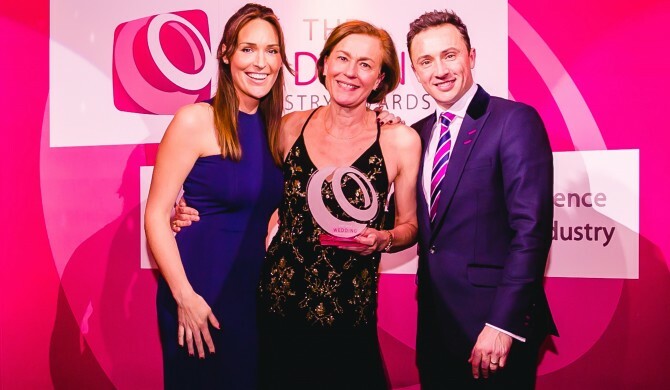 When my category for Wedding Dressmaker/Designer of The Year was announced and the shortlist displayed on screen, it felt like a decade had passed before the winner was announced – me! Being upstairs meant I had to make my way down the sweeping staircase (as if on a Ginger Rogers and Fred Astaire film set!). Cameras flashed, music played…it was an unforgettable moment. Proudly clutching my award, I then had to go backstage for a video interview followed by more photos. Huge congratulations to all the other winners and, indeed, all the regional finalists. 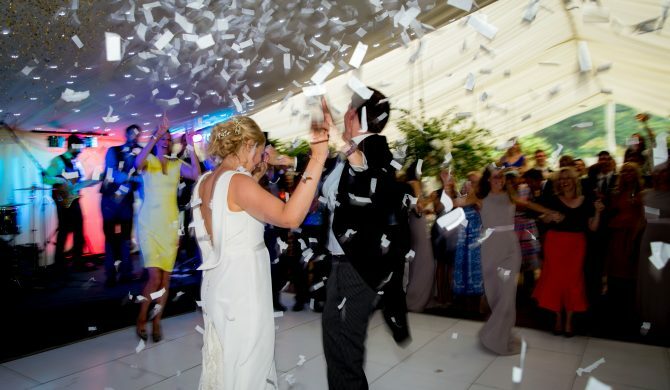 It was a a night in a million and simply wonderful to meeting so many talented people in the wedding industry that help make a wedding day so, so special, from florists to photographers to transport providers to venue stylists to my favourite named category – special touches. How did the evening end? Well, there was music, there was dancing, there was champagne….but there wasn’t any sign of Leo. Apparently, he went post-premiere to The Groucho Club in London with a mystery brunette dressed in black. Which wasn’t me! I was still at the awards event having a great time. His loss, not mine!